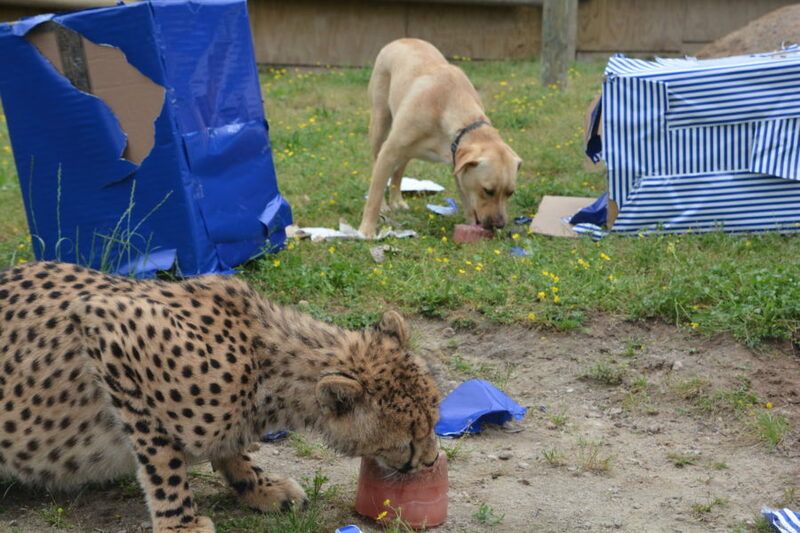 Kumbali and Kago celebrated their first birthday on May 12, 2016. 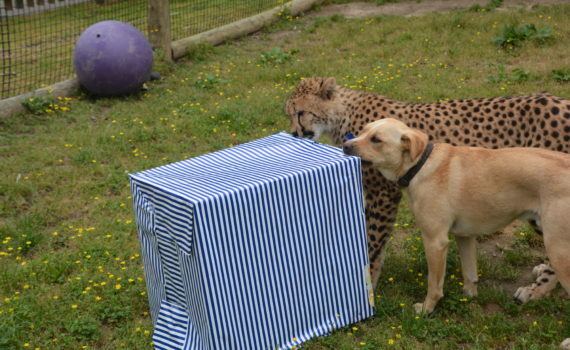 Zoo staff gave them two birthday presents. Each box contained an ice block with meat frozen inside. 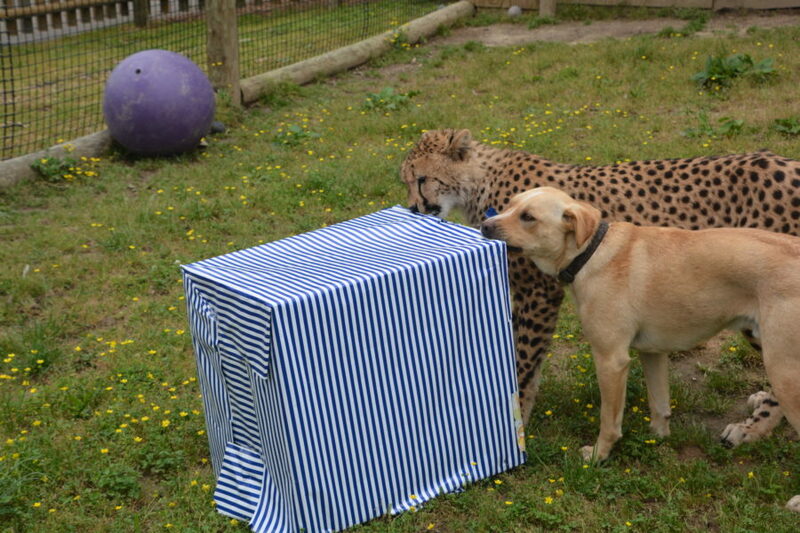 The boys enjoyed ripping off the wrapping paper and eating their frozen treats.